BELFAST’S Lisburn Road was the most ticketed street in all of Northern Ireland – exemplifying the tensions between traffic management and providing access to local businesses. The south Belfast road is home to over 100 shops, boutiques, restaurants, cafes and businesses but it also holds the unenviable title of being the road where drivers received the most parking tickets in 2011. Of the 2,296 tickets issued on the road between January 1st and December 31st, 1,926 were for parking on an urban clearway – this is a massive 27% of all clearway-related tickets issued in Northern Ireland. Of these clearway tickets, 1,731 were issued around 4pm or 5pm. The evening clearway starts on the Lisburn Road at 4.30pm. The DRD recently announced that it had no plans to amend clearway restrictions on existing urban clearways. This news and the Lisburn Road statistics calculated by The Detail have infuriated local traders. Peter Carrington is chair of Lisburn Road Business Association (LRBA). He said: “We find it alarming that 27% of all of the tickets for clearway infringement is on the Lisburn Road. I mean that just seems to us to be a ridiculous percentage for one road in the province. “The biggest problem we have with the parking restrictions on the clearway is that at 4.30pm in the afternoon we do have traffic wardens coming very enthusiastically onto the road and hounding shoppers off the road. “Our proposal was that we would have an urban tidal system whereby in the morning parking could be on the outward bound side of the road and in the evening when the traffic is heavier going out of town that people could park on the inside of the road. We feel this is a perfectly satisfactory solution. “Many businesses on this road will tell you that they’ve had women leave the shops very quickly at 4.30pm not to return and they’ve had people given tickets who’ve said ‘I’m not coming back’. For a major retail destination such as the Lisburn Road that’s very bad news. What does he think of the Lisburn Road being the most ticketed street in Northern Ireland? “I think that’s going to annoy an awful lot of businesses here because I think they are going to feel that they are once again being penalised,” he said. Paul Maconaghie owns independent health store Framar Health on the Lisburn Road and is also a member of the LRBA. He said: “Basically at 4.30pm business just seems to come to a halt. We are penalised on the Lisburn Road and we have been telling the powers that be this for years, but it’s falling on deaf ears. “This is one of the most up and coming independent shopping areas in Northern Ireland. There has been a massive infrastructure investment on the Westlink to take traffic off roads like the Lisburn Road and Malone Road. “A tidal clearway would give a bit more leeway for parking but instead this road is flooded with parking attendants every day. The DRD said the Lisburn Road is a priority clearway and patrolled on a daily basis to ensure the free flow of traffic and the overall safety of all road users. 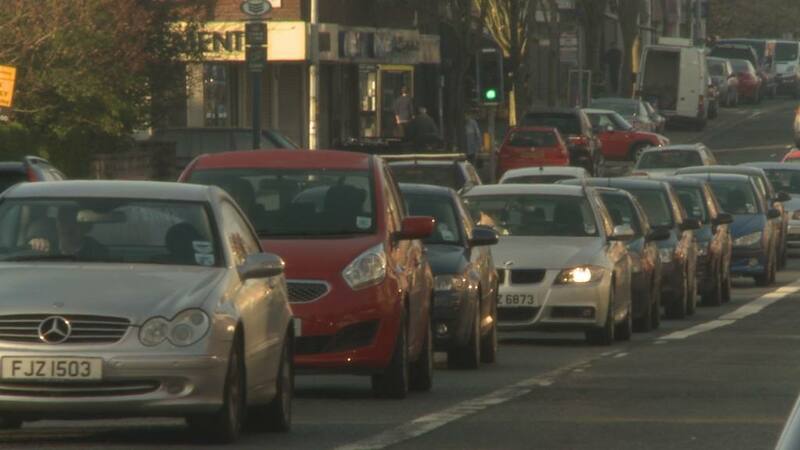 A department spokesman said that the Minister wrote to local politicians at the end of February to update them on a targeted consultation exercise on assessment of existing urban clearway restrictions, including on the Lisburn Road. He added that Roads Service “consulted widely”. The DRD statement continued: “Roads Service has a concern that any relaxation of the existing urban clearways would likely have a detrimental impact on traffic flows. In addition, Translink advised that it would be strongly opposed to any relaxation as it considers it would have a significant impact on its ability to provide an efficient and reliable bus service.